Just like in people, vomiting can be a natural response to a digestive issue. Once the offending substance is rejected by the stomach through vomiting, there is a good chance that the situation is over. However, there are plenty of circumstances that are not quite as easy to overlook and may require closer attention. There are more reasons, but these are the most common. Because these other more serious issues may be at the heart of your dog’s vomiting, it can make the event more concerning. When your dog is vomiting, pay attention to the frequency, time of day, substances in the vomit, any unusual ingestion, their normal dietary habits, and any other unusual behavior. If you are ever unsure if the circumstances are favorable, contact your vet for immediate assistance. GDV, for instance, can kill a dog in as little as a few hours if left untreated. Car sickness, on the other hand, will likely pass without much concern. All things considered, it’s always better to be safe than sorry. 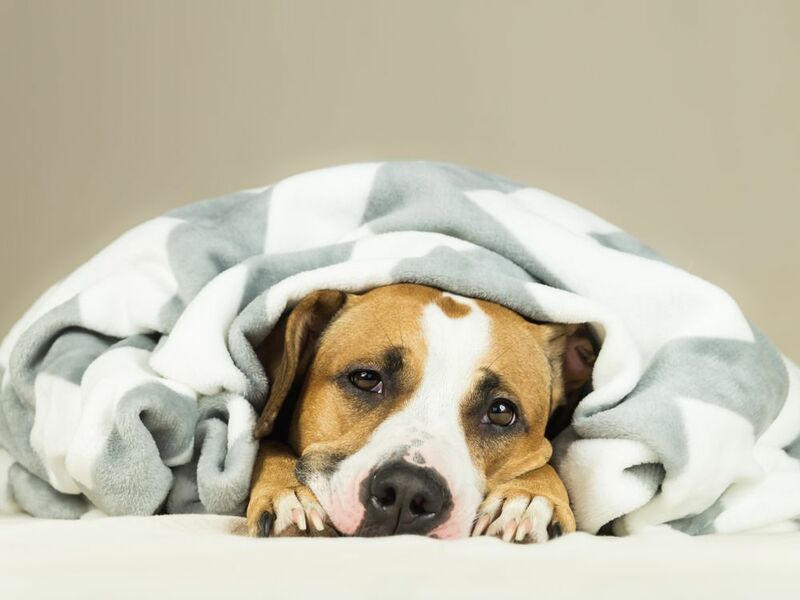 If your pup vomits and then resumes normal activity, diet, and behavior, it’s likely that it was a one-off situation that does not require any professional attention. However, if you notice any of the symptoms listed below, you should make sure to contact the vet to perform a more thorough diagnostic testing. If treatment is required, this process will help determine what is best for your pet. When you can keep close attention to the issues surrounding the vomiting event, if any, you can be better prepared to inform your veterinarian. If you notice that your dog is trying to vomit frequently and nothing is coming up, you should contact the emergency center immediately. This could be a case of GDV and requires attention immediately. When it comes to what to do if your dog is vomiting, observation and preparation are the keys. Unless it is a one-off situation, your veterinary team is prepared to look after your pet for you. Making sure to report all of the symptoms you’ve observed makes the process much easier to diagnose when you arrive at our office. If you suspect your pet is having an issue, please reach out to us here at Lake Emma Animal Hospital right away so we can have a look.